“The State Farm campus represents one of the top adaptive reuse and infill development opportunities in the City of Frederick,” said Mayor Michael O’Connor. Transwestern today announces it has been appointed to lease 1 State Farm Drive, a 387,008-square-foot office building on 94 acres in Frederick, Maryland (the “Property”). The ownership will also entertain purchase offers from prospective users.1 Transwestern’s Gerry Trainor and Mark Glagola of the Mid-Atlantic Capital Markets Group, along with Executive Managing Director Keith Foery and Senior Vice President Guy Copperthite, are representing the owner for this listing. “The property’s access to both Fort Detrick and the Frederick National Laboratory for Cancer Research at Riverside Research Park makes the site particularly attractive for mixed-use development including biomedical research and manufacturing, as well as government contracting,” said City of Frederick’s Director of Economic Development Richard Griffin. 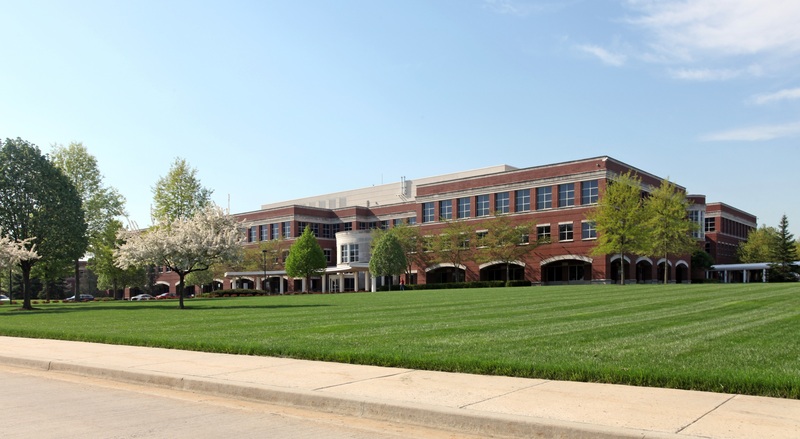 Built in 1996, the property has a large cafeteria with seating for 252 people, ample outdoor green space, 1,600 surface parking spaces, administrative offices, training rooms, and large open spaces, including a former call center with over 800 existing cubicles. The property also includes a 20,000-square-foot warehouse with 28-foot ceiling heights, three loading docks and a 9,300-square-foot data center. The property is in proximity to Frederick Community College, the U.S. Army Medical Command installation at Fort Detrick, the National Institutes of Health’s National Cancer Institute (NCI) and numerous retail centers including Clemson Corner, The Shops at Monocacy and Market Square. Some of the nearby retailers and restaurants include Moe’s Southwest Grill, Noodles & Company, Onelife Fitness, California Tortilla, Giant Food, Lowe’s, Wegmans and Walmart Supercenter.